Slashleaks first shared the images on Sept. 6, suggesting that they were "clones" of Apple's forthcoming LCD iPhone. However, in a tweet on Sunday morning, Geskin disclosed that he believes that the devices are the real thing, and are some form of Apple prototype. This is the second time in a day that the name "iPhone Xc" for Apple's lower-cost LCD-equipped iPhone expected to be announced on Sept 12. has popped up. The first time, it was spotted on Chinese social media, allegedly included in a China Mobile presentation about the new devices. I want a red Xs please! Want excellent cameras on thin phones. You have to sacrifice something. Or you know ,use a case like the 85% of us. I hope they are simply prototypes. They are pretty ugly and the colours are not very 2018 (much less 2019). Gradients are the 'in thing' this year. This year was also the year of the notch (as far as trends go) but we are seeing the first truly full screen phones appearing already so my bet is on a flood of full screen phones during 2019. The Oppo Find X was released here a couple of days ago and as far as design, colours and finish go, it shines. I'll have the chance to use one in person next week but I really think the look of the phone is a big win for the company. Looks fake. Especially the ring around the camera and the frame (which looks like plastic not aluminum). Either it’s a bad photo or it’s some Chinese knockoff based on rumors. EDIT: according to a poster on 9to5Mac these are NOT Apple prototypes, they’re mockups, most likely from a case maker. How can red, white and black be ugly? And when has Apple ever done the so-called “in” thing? It’s Chinese companies that race to follow whatever trend they think is “in”. I didn't say the colours were ugly. I said the phones were ugly and the colours were not what is popular this year. Apple doesn't have to do the 'in' thing but sticking with the same old tired solid colours won't make them any less boring because there is an Apple logo on the back. Either way, if these are simple mock ups by a third party they aren't the real deal - thankfully. They just look too plasticy. Hence, 'ugly'. So why the hell can they not get their phones on the same page as the rest of their product line? Have the iPhone and iPhone Pro. I'd say very few pros do their work on a phone in a way that's drastically different from the rest of the users, unlike the Pro computes and tablets. I am a pro photographer and I actually take most of my travel shots on an iPhone, but I would never, ever offer them as a final product for sale (unless of course Apple offers to buy some for their promo campaigns). If the Xc is plastic and has no 3D touch the iPhone 8 might be a better option for those still on 6s. Yes, if only Jobs were here to undo physics and light and lenses. Then he could fix the rest of the industry as they all have the limitations. Are they cheating their benchmark scores too the way your favorite chinese knockoff is, claiming they have to because everyone else in china is cheating? Any kind of cheating is wrong in my book and should be called out but you've got your cables in an almighty tangle. I was talking about design, colour and finish, trends and the current state of play in those areas. On top of that, I mentioned OPPO (not Huawei)! The Find X is a beautiful phone and right up there with the P20 Pro. We should be capable of admiring the design. Giving credit where credit is due. Your labelling of everything as a knock-off shows just how short sighted you are. That's one hell of phone by any design standard. 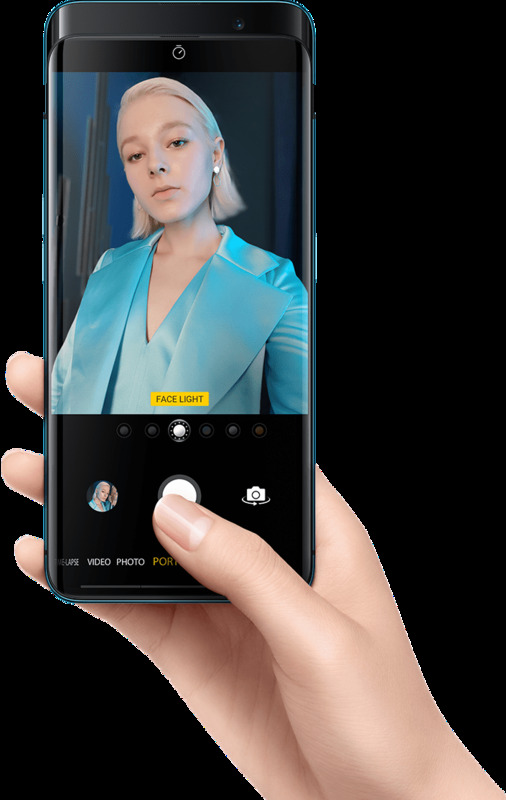 The front looks attractive at first, but the curved edges like Samsung phones aren’t necessary and cause reflections, and though the cameras are hidden, I wouldn’t want any moving parts in a modern phone. Cool design but not mind blowing to me. Exactly. Cool design. Functionality will be verified with use. The gradients are very elegant. The 'clean' front and back, the curves around the slide out camera housing etc. There's no accounting for taste but even for the staunchest Apple fan, the visual design should be an eye opener. I’m curious about the performance of the cameras in terms of both, speed for unlocking/taking picture and actual picture quality. If they are on par with e.g. what’s currently offered in the iPhone X them I’m impressed - no SJ return needed for bending the laws of physics as pointed out earlier in order to remove the bump. Not so sure about durability, though, and impact on battery life. Apple would never have that mismatch color on the camera ring. These are just painted parts like the original poster of the image said they were. Pop-up camera module = FAIL. I know you said Oppo. I asked if Oppo cheats the same way your #1 knockoff brand cheats, and added the link.